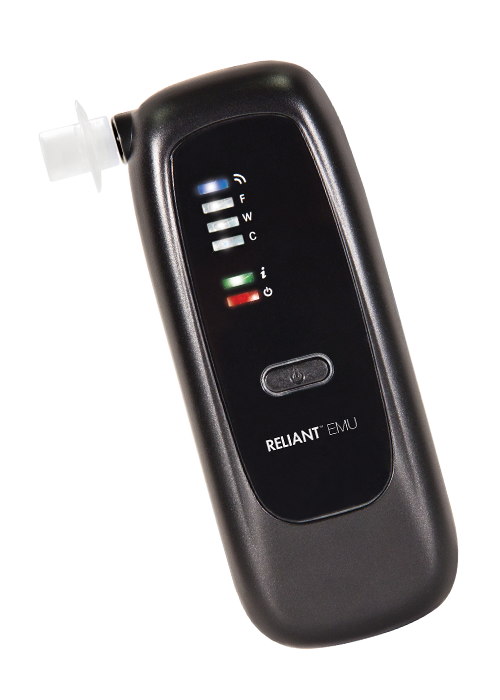 RELIANT EMU is a portable breath alcohol tester connected to a smartphone through a proprietary application for communication with a central database for electronic monitoring of subjects. 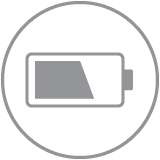 RELIANT EMU may be used in electronic monitoring programs for subjects on pre-trial, parole, probation or court order to observe alcohol‑free behaviour in community supervision, home confinement or 24/7 applications. The subject is enrolled online, the App is installed in the smartphone to provide secure communication with the central database, and the EMU is registered to the program to accredit the breath alcohol test results. 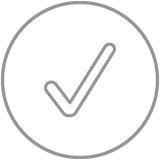 RELIANT EMU engages the subject to view messages, appointments and maintain monitoring schedules that are entered into the client file with connection to the central database. Case management officers may amend schedules accordingly. RELIANT EMU captures an image of the subject during the breath sample and uses highly robust facial recognition technology for subject identification. Subjects may follow their work and life schedule while being alerted to provide breath tests with images on a random or fixed schedule. 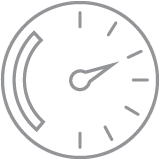 RELIANT EMU is programmed to require a series of additional breath tests when breath alcohol is detected above the threshold level to confirm the presence of alcohol and the validity of the breath alcohol measurement. 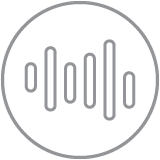 The RELIANT App provides the link to the central database through the smartphone cellular connection to maintain client schedules, to report on compliance, to provide instant messaging and to enable continuous supervision. 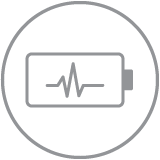 The RELIANT App maintains the client scheduling, messaging and subject identification in the memory of the smartphone while all event data is transmitted to the central database for secure storage and access by case managers. 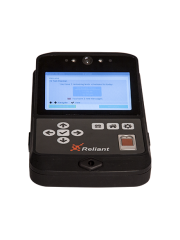 RELIANT EMU uses a high performance electrochemical (fuel cell) sensor for breath alcohol measurement that provides rapid response and resilience to drift, ensuring long-term reliability and evidential accuracy.